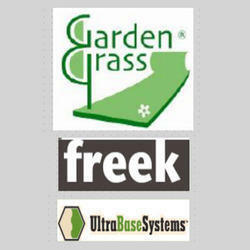 Established in the year of 2007 in Pune (Maharashtra, India), we “PK Versi Turf Pvt. Ltd.” is the leading manufacturer and importer. We are engaged in offering a comprehensive assortment of Artificial Playground Grass, Hockey Ground Turf, Artificial Synthetic Grass Ground, Lawn Tennis Grass Court, Multi-Purpose Playground Turf, etc. Our surfacing solutions and artificial grass are developed using premium quality basic material and advanced technology by our skilled professionals in compliance with international standards. Surfaces offered by us are extensively acknowledged among clients for their perfect finish, longer service life, easy to clean, low maintenance, exquisite design and attractive looks. Clients can also avail the offered range in various designs, patterns and sizes as per their varied demands. We export our products in country like Netherlands. We have established a state-of-the-art infrastructure that enables us to qualitative meet the bulk demands of our valued clients in a smooth manner. Our firm is supported by this advanced facility that is segmented into various functional sections like manufacturing, quality testing, sales & marketing, etc. Our professionals use their vast domain expertise and skills to manufacture these products in compliance with sports industry standards. They take-up and complete every task with perfection and dedication in order to ensure maximum client satisfaction. We also provide them with training sessions to keep them updated with the latest developments and trends prevailing in the industry. Our team strives hard to meet the different needs of clients and provide them solutions in adherence with the latest market trends. We have hired highly qualified quality controllers who make sure that the offered products and solutions conform to international standards. We test all our surfacing solutions on parameters like durability, dimensional accuracy, maintenance, tear resistance, etc. We also ensure that no damage is done to the finished surfaces during transit and installation. With our industry leading prices and ethical business practices, we have garnered a spread out client base. All our efforts are channelized to deliver the products of best quality. For clients' convenience, we also accept payment through easy modes like cash, cheque and DD. 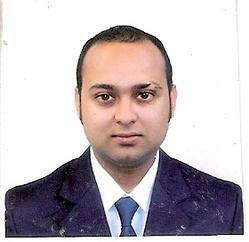 Under the guidance of our mentor, Mr. Piush Kumar, we have been able to gain a position of repute in the market. His experience, dedication, knowledge and expertise enable us to stay ahead of our competitors. We are a quality oriented firm, all our efforts are directed in providing a defect-free range of products to our valuable clients. We use optimum-grade raw materials sourced from the most reliable sources of the market, to manufacture our range of the products. The technocrats appointed by us employ advanced technologies and high-grade machines in the manufacturing process of our products. Moreover, we have hired an experienced quality controllers team for stringently testing our entire range. These teams check the quality of our range of the products on various parameters at our technological updated quality- testing laboratory. With the help of our team of our professionals, we are offering a wide range of products and sports surfacing solutions. Our experienced professionals have rich industry experience and knowledge in their concerned domain. Their meticulous and sincere efforts have helped us in attaining the maximum satisfaction. Our quality controllers check the entire range on well-defined parameters and hence ensure the optimum quality of products and surfaces. Also, our professionals use the latest techniques to cater to clients’ exact requirements. Backed by rich industry experience, we are offering optimum quality range services and products like Golf Grass, Artificial Green Surface, Synthetic Acrylic Sports Flooring, Football Grounds, Hockey Ground, Landscaping, Tennis Grass Court, etc. I have insights into Sports and Landscaping turf, gained through my work in the Business function with Greenfields which is a notable name in the Artificial grass industry. My work spanned brand marketing, product development, strategic alliances, project implementation and after-sales services. I am also collaborating with the best and continue to establish State-of-the-art solutions for creating sports and landscape facilities with the use of the best surface materials and flooring available across the globe. I enjoy networking with professionals from a similar or any other industry and encourage you to contact me for Channel building, International trade, Marketing or anything you find me helpful for.